Winners for the anniversary giveaway have been confirmed! Congrats to Lisa N. who won a $25 gift card to Harlow & Co., and congratulations to Sumeet S. who won a $25 gift card to KBShimmer Bath and Body! 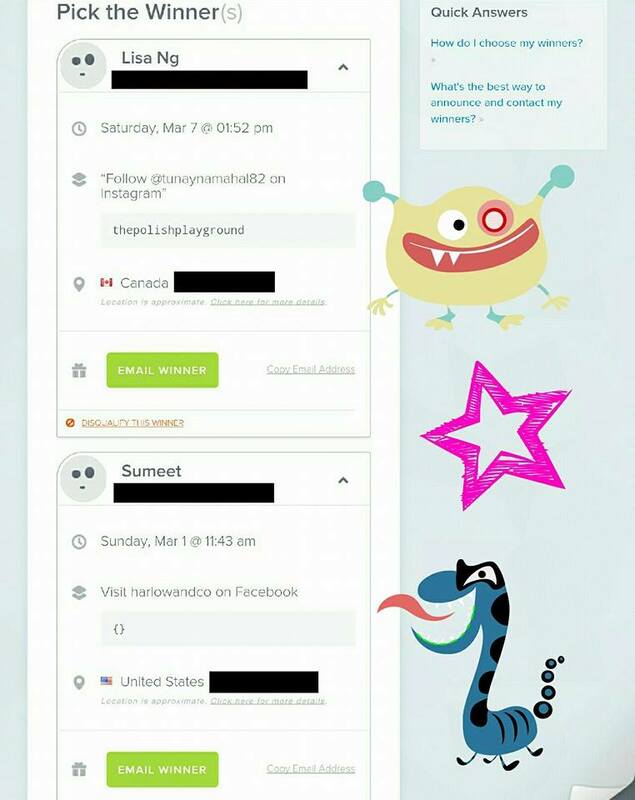 Please enter on the Rafflecopter form below, or click here if you cannot see it. Terms and Conditions: Giveaway ends March 17th, 2015 at 12:00 am EST. You must be 18 or older to enter. Prizes purchased by: www.tunaynamahal.com. I have the right to request proof of age if it seems appropriate. All entries will be verified. No following and unfollowing once the giveaway ends. There will be 2 winners chosen. 1 USA winner, and 1 International winner. Winner(s) will be selected by Random.org and notified by email. Winner has 24 hours to respond before a new winner is selected. I may choose a new winner at my discretion for any reason. No giveaway only accounts. I am not liable for lost or damaged packages after you have redeemed your gift certificate. 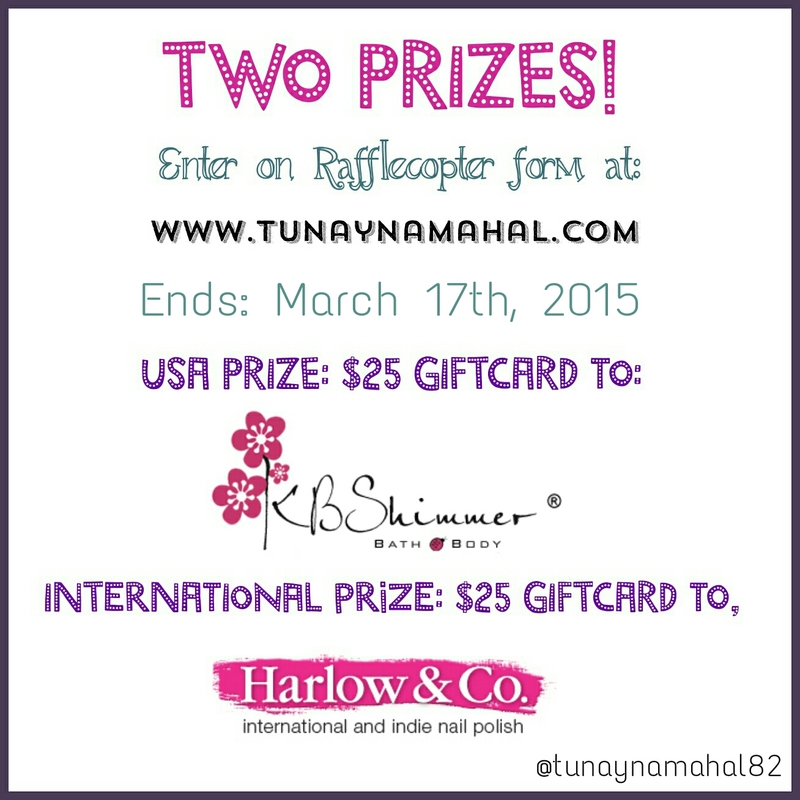 KB Shimmer, Harlow & Co, Facebook, Twitter, Bloglovin’, and Instagram are in no way associated with this giveaway. Any personal information provided will be used only for the purpose of contacting the winner.